Our new metal plaques that we have recently introduced have taken off in popularity. Now we’ll provide a behind-the-scenes look at how we make them! 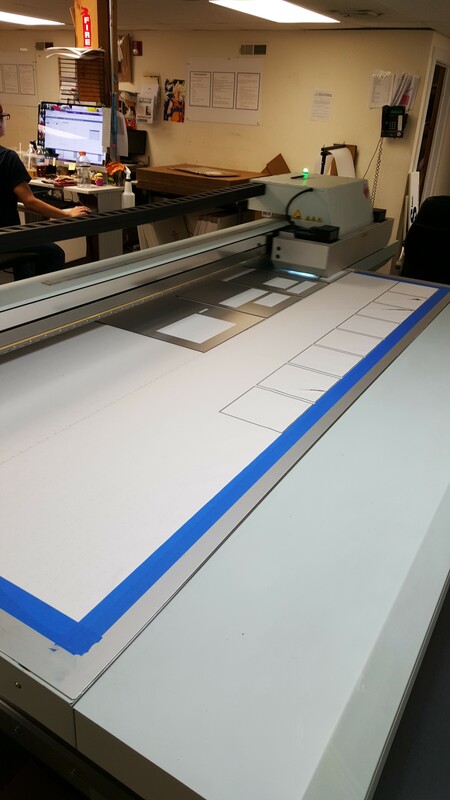 Once the blanks are loaded onto the printer and the graphics are ready, printing begins. Everything is printed directly onto the plaque and printing only takes a few minutes! 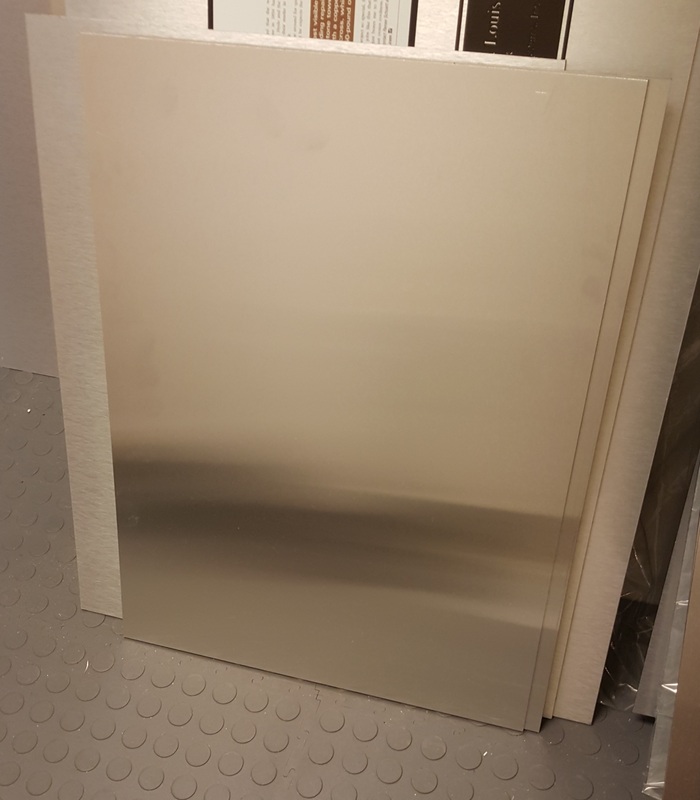 Once printing is completed, each plaque is identified by their sales order and taken off the printer and inspected to make sure that there are no imperfections with the printing or metal. 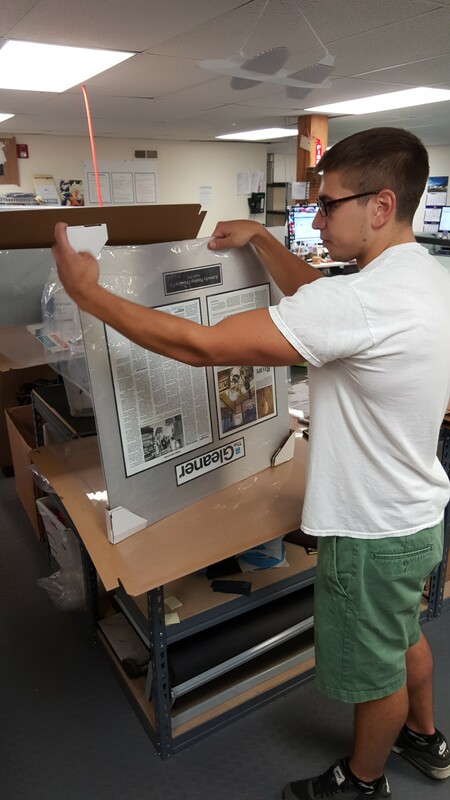 Once the plaque is completely assembled it needs to be packaged for shipment. First, the plaque is put inside protective plastic sheeting to protect it from scratches during transit. Next, all four corners of the plaque are covered with protective cardboard borders to protect the plaque and packaging during shipping. The plaque is then placed inside the package for shipping along with the sales order and sent off to ship. Our new metal plaques are the perfect solution for a new sleek, professional way to display your press, pictures, or company logo. Click below to see a preview of your very own plaque!